Spirit Peace Love is a spiritual home for people of all traditions to connect and share the wisdom of life’s greatest lessons. 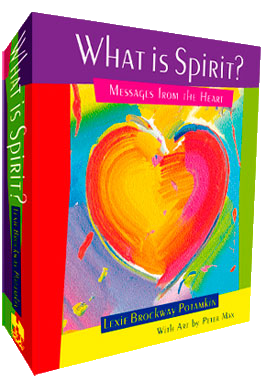 Here, Lexie Brockway Potamkin delivers messages from the heart that will inspire you to learn, laugh and love more. 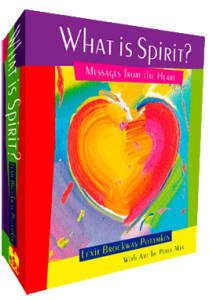 Enjoy the inspirational stories shared by masters, celebrities and ordinary people who have found the recipe to experiencing the spirit, peace and love in their daily lives. Lexie has been blessed to meet and learn from some of the world’s most beloved and celebrated leaders. His Holiness the Dalai Lama, Sakyong Mipham Rinpoche, Deepak Chopra, Rev. Dr. Cynthia Bourgeault, Rabbi Simon Jacobson, Edward Bastian, Geshe Lobsang Tenzin Negi, Ph.D, and the Monks of the Drepung Loseling Monastery are among a few of the spiritual teachers who have touched Lexie’s life. What inspires Lexie now? To share that wisdom with thousands and millions of people world-wide who also want to make a difference in their own special way. Loss can mean many things, not just literal death. For my website, I give tools available to anyone, at any time, at their convenience. I curated each set of materials especially for those who are experiencing death or “mini-deaths” (loss of home, job, divorce, major change in life circumstance, etc.). You may find that some of the materials speak to your personal situation more than others and that’s ok. Take as much or as little time as you need with each session. I am honored to be on this journey with you in spirit.